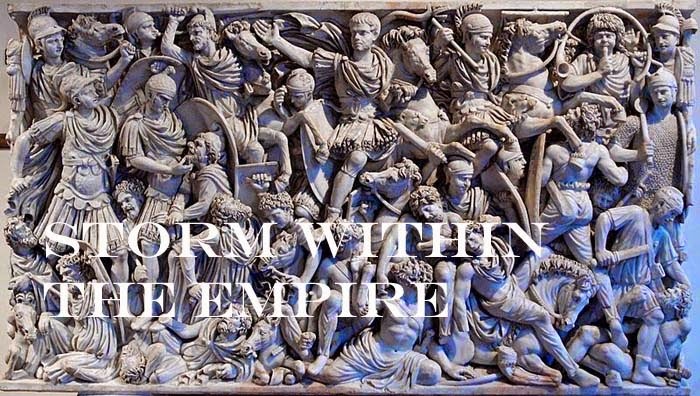 Storm within the Empire: Hellenistic Camp. Building a Hellenistic camp had been on my list of projects but unfortunately remained there even after completion of the Seleucid and Bactrian army. I am currently reviving the Consular Army for a round of historical games and thought now is the time to make a start on the camp. The construction follows a similar pattern as that done for an early Roman marching. Paper supports were cut and formed so as to offer support for the grape stems. These were cut to 25mm lengths; these would be further trimmed back as the model nears completion. Stems were glued to their support with contact cement. After this dries a second support is glued in place with white glue; spread in between the stems with a brush or toothpick. With a pencil, I marked the base (3BW x 1BW) to where the walls would be positioned, leaving a 20mm opening as an entrance. The two sections were cut to length and glued down. Milliput was used to create the embankment hiding the paper support. This was left overnight to dry. Before covering the embankment and base with a sand glue mix, I brushed thinned white glue over the stems to bond the ‘branches’. Let dry before covering the base and embankment. The base is given an earth colour and the exposed wood is painted dark brown/block. Highlight both ground and walls and glue small places with grass. Done. Cost: Two euro for the grapes and a few hours of construction with plenty of time in between for drying and curing. Creative and very nice job! Did I mention the grapes were delicious?